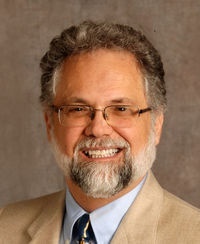 Roberto Lewis-Fernández, MD is a Professor of Clinical Psychiatry at Columbia University and the Director of the New York State Center of Excellence for Cultural Competence and the Hispanic Treatment Program, and the Co-Director of the Anxiety Disorder Clinic, at New York State Psychiatric Institute. His research focuses on developing culturally valid interventions and instruments to enhance patient engagement, reduce misdiagnosis, and help overcome disparities in the care of underserved cultural groups, especially Latinos. He also studies the way culture affects individuals’ experience of mental disorder and their help-seeking expectations, including how to explore this cultural variation during the psychiatric evaluation. He led the development of the DSM-5 Cultural Formulation Interview, a standardized method for cultural assessment for use in mental health practice, and was the Principal Investigator of its international field trial. He is Chair of the Cultural Committee of the Group for the Advancement of Psychiatry, President of the Society for the Study of Psychiatry and Culture, President-Elect of the World Association of Cultural Psychiatry, and Past President of the American Society of Hispanic Psychiatry. He was a member of the NIMH National Advisory Mental Health Council and Chair of the Cross-Cultural Issues Subgroup of DSM-5. Currently, he is Co-Chair of the ICD-11 Working Group on Culture-Related Issues and a member of the Working Group on Somatic Distress and Dissociative Disorders. He is also Chair of the DSM Review Committee for Internalizing Disorders. His awards include the 2014 Simón Bolívar Award and the 2018 Health Services Senior Scholar Research Award of the American Psychiatric Association, the 2014 Creative Scholarship Award of the Society for the Study of Psychiatry and Culture, and the 2015 Multicultural Excellence Award of the New York State Chapter of the National Alliance on Mental Illness.